Sliced shrimp, mixed vegetable & thin vermicelli noodles wrapped in rice pepper. Sliced tofu, cucumber, mixed vegetable & thin vermicelli noodle wrapped in rice pepper. 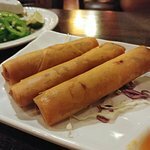 Mixed pork, crab meat, shrimp, bean thread & mixed vegetable wrapped in egg roll skin & fried until golden brown. 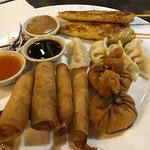 Served w/ our homemade sweet & sour sauce. Fried Thai style seasoned fish paste served w/ our homemade sweet & sour sauce. Steamed chicken dumplings served w/ our homemade gingner dumpling sauce. Fried seasoned shrimp, coated w/ coconut flakes. 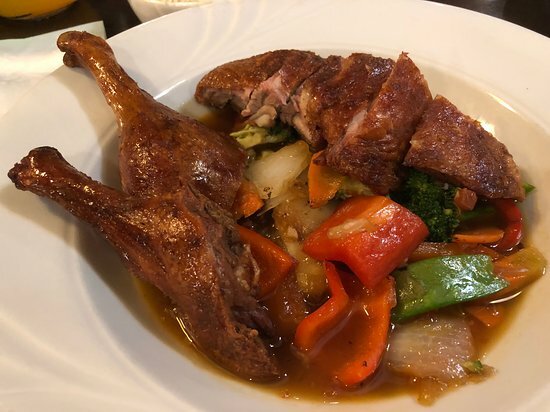 Served w/ our homemade sweet & sour sauce. Seasoned shrimps wrapped in egg roll skin, fried until golden brown. Served w/ our homemade sweet & sour sauce. A bag of filled minced chicken, shrimps, crab meat & mixed vegetable, fried until golden brown & served w/ our sweet & sour sauce. Skewed chicken tender marinated in Thai special spices, slowly pan-fry until golden brown. served w/ out homemade peanut sauce. A mixture of shredded green papaya, carrot, tomato, string bean, roasted peanut & spicy lime juice sauce. Mixed of lettuce, tomato, cucumber, mushroom, broccoli, bell pepper & tofu, topped w/ our homemade Thai style peanut dressing. Red bell pepper, carrot, string bean, zucchini, sliced bamboo & egg plant in red curry sauce. Red bell pepper, carrot, string bean, zucchini, sliced bamboo & egg plant in green curry sauce. Potato, sweet potato, carrot, onion, red bell pepper & peanut in masaman curry sauce. Red bell pepper, carrot, string bean, zucchini, & snow pea in pannang curry sauce. The most recognized Thai noodle dish. stir fried thin rice noodle w/ egg, scallion, bean sprouts, tofu, sweet radish. topped w/ a hint of Fresh bean sprouts, shredded red cabbage, lime & crushed peanut. Stir fried wide rice noodles w/ chicken, egg, broccoli, & sweet soy sauce. A Thai specialty. fried rice w/ egg, pineapple chunks, carrots, green peas & onion. served w/ Fresh cucumber & tomato. fried rice w/ egg, carrots green peas, onion, baby corn & Fresh basil leaves. served w/ Fresh cucumber & tomato. 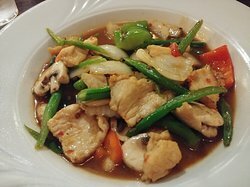 onion, string bean, bell pepper, mushroom, scallion & Fresh basil leaves sauteed in chef's special sauce. fried eggplant, onion, bell pepper, Fresh basil leaves & scallion sauteed in chef's special sauce. Bell pepper, carrot, string bean, zucchini, sliced bamboo shoot, egg plant & pineapple chunks. Recommended w/ seafood mix, duck, salmon or snapper. Assorted steamed vegetable topped w/ tamarind sauce. Recommended w/ duck, salmon or snapper. 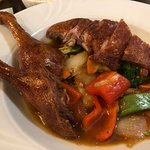 a mixture‏ of onion, bell pepper, string bean, mushroom & Fresh basil leaves sauteed in chef's special sauce.recommend w/ seafood mix, duck, salmon or snapper. A mixture of onion, carrot, shitaki mushroom, baby corn, & shredded gingner sauteed in chef's special sauce. thin rice noodle topped w/ shredded lettuce, cucumber, mint leaves, Fresh bean sprouts & a sprinkle of crushed peanut. accompanied w/ our homemade "nuoc cham" sauce. 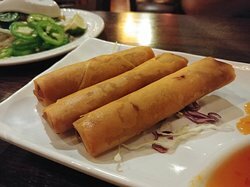 Fried egg rolls w/ rice vermicelli. Char-broiled chicken tender marinated in our special sauce w/ minced lemon grass, served w/ rice vermicelli. Char-broiled sliced pork marinated in our special sauce w/ minced lemon grass, served w/ rice vermicelli. Char-broiled shrimp marinated in our special sauce w/ minced lemon grass, served w/ rice vermicelli. Char-broiled chicken, pork & shrimp marinated in our special sauce w/ mince lemon grass, served w/ rice vermicelli. Topped w/ a fried egg roll. a rice platter topped w/ Fresh cucumber, lettue, tomato, shredded pickle carrot & radish, accompanies w/ our homemade "nuoc cham"
Char-broiled chicken tender marinated in our special sauce w/ minced lemon grass, served on rice platter. Char-broiled sliced pork marinated in our special sauce w/ minced lemon grass, served on rice platter. Char-broiled shrimp marinated in our special sauce w/ minced lemon grass, served on rice platter. Char-broiled chicken,‏ pork & shrimp marinated in our special sauce w/ minced lemon grass, served on rice platter. our beef noodle soup served w/ your choice of toppings below & topped w/ a hint of sliced onion, scallion & cilantro. accompanies by a side of Fresh bean sprouts, Fresh basil leaves, lime & jalapeno. Beef noodle soup topped w/ thin sliced round-eye steak. Beef noodle soup topped w/ think sliced well-done brisket. Beef noodle soup topped w/ sliced round-eye steak & well-done brisket. Beef noodle soup topped w/ beef meatballs. Beef noodle soup topped w/ sliced round-eye steak & beef meat balls. Beef noodle soup topped w/ sliced well-done brisket & beef meatballs. Beef noodle soup topped w/ sliced round-eye steak & shredded tripe. Beef noodle soup topped w/ thin sliced well-done brisket & tendon. Beef noodle soup topped w/ sliced chicken tender. 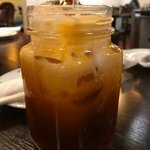 Thai sweeten iced tea mixed w/ half & half. French roasted coffee brewed on your table w/ special filter, infused w/ condensed milk. Strong, sweet & creamy. Served w/ ice or hot. bubble tea drink is a fun drink that people all of ages enjoy. the only veverage you can drink & eat at the same time. 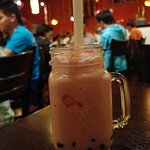 using an oversized straw to transport the pearls (tapioca balls) into your mouth while drinking the tea. please select one of the following flavor & enjoy your drink: Thai tea, vietnamese coffee, mango, black tea, green tea, taro, strawberry or honey dew. Food, service, convenience was exceptional. I can’t believe I live around here & just found this restaurant. You should try it. We had our family dinner at Pho Thai Nam restaurant since my sister-in-law knew the owners. The appetizer sampler was delicious. Food is good and comes our very quickly. Good restaurant to try out if you’re in the area. A restaurant less ordinary, fine food, service. Very good execution. Becky is great and friendly. Food is always fresh and delicious but prices keep getting higher and higher and portions keep getting smaller. 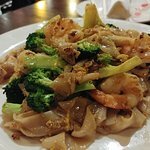 Great Thai food, flavorful but not overly spicy! I found this place through recommendation less than a year ago and have been here many times since. Everyone is very friendly and service always great. The food seems fresh and tastes delicious. I’ve done eat in and take out and recommend both. 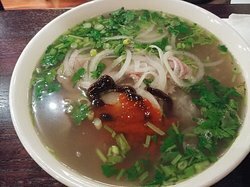 Don’t have to go to South Philly for a bowl of delicious Pho. 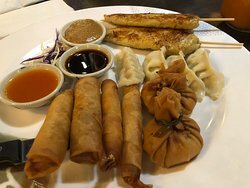 Great selection of Pho and Thai food. 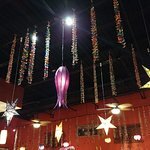 This is a local Thai restaurant in East Norriton which I absolutely love! 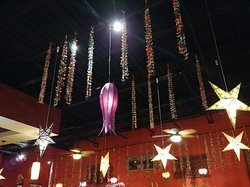 The atmosphere is great, well-decorated, and fun! 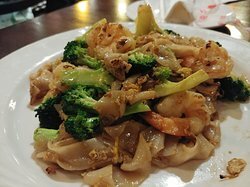 The food is excellent, especially the Drunken Noodles and Green Curry! Definitely check out this place if you are in the area! 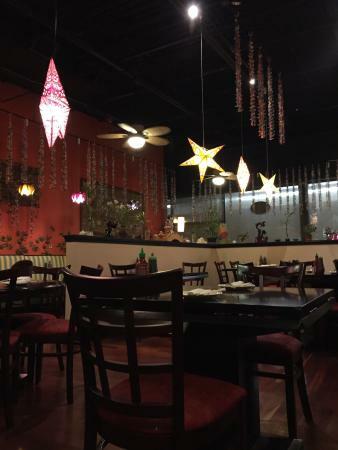 Get quick answers from Pho Thai Nam staff and past visitors.